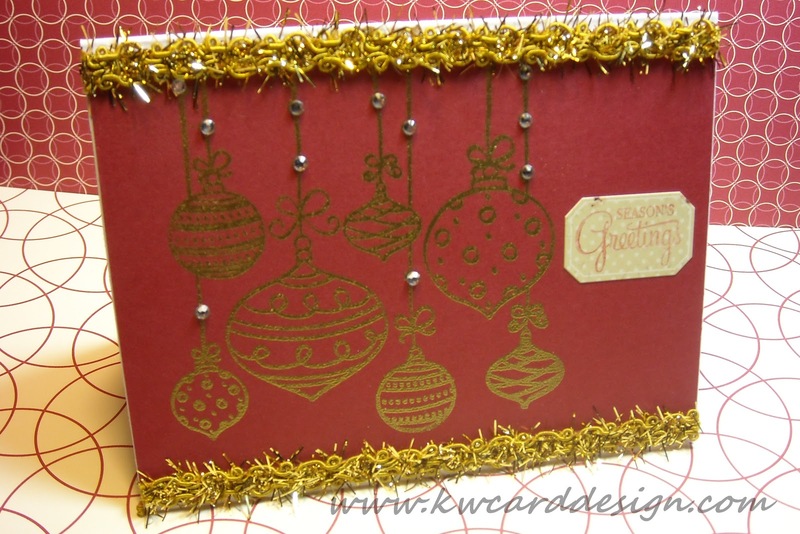 KWCardDesign : 'Tis the season! Hi all!! 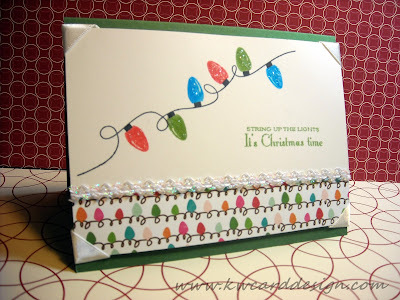 My posts have been sparse during this holiday season. So much to do, and so little time to do it! I am sure everyone knows what I am referring to. I wanted to share with you another Christmas card I made. We are one week away from celebrating Jesus' birth, and I honestly I am trying to get in the true meaning of what Christmas is, but it is being masked by having to tend with work, buying presents ( with lack of funds I might add), paying bills, etc.....I know they are all excuses, but I speak the truth! 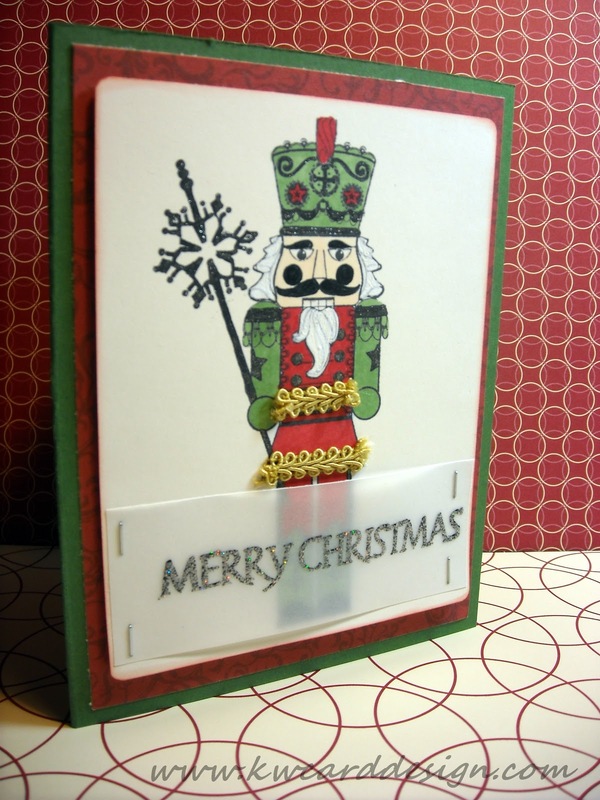 :) Nonetheless, I have made several Christmas cards this year, and have sent some, and personally given some. I think all that have received one is appreciative. This one was given to my nail tech. She does a great job tending to my nails every 2 to 3 weeks, and I wanted her card to be special. kari those are beautiful! i love making individual cards too, making just one over and over isnt as fun!!! I love the little christmas lights the best :) best of luck getting through the season, and have a very merry christmas!